So I just purchase the Micheal Kors purse on the left at T.J. Maxx. It was at a huge discount, but still on the pricey side. On the right is my current purse from Dooney & Burke. I soon noticed they are some what similar, which only adds to my current uniform. 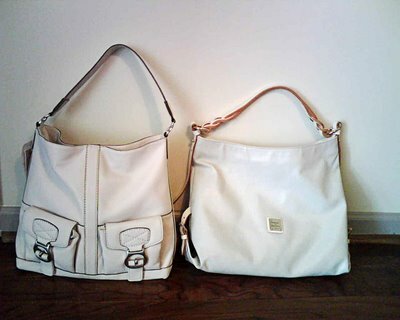 My question is, should I keep them both, take the Kors one back, or sell my current purse to justify the new splurge? What would you do lovely readers? I am truly at a loss. Oh, and hubby if you happen to read this just ignore it please. I am having a moment of weakness that is not so very flattering.